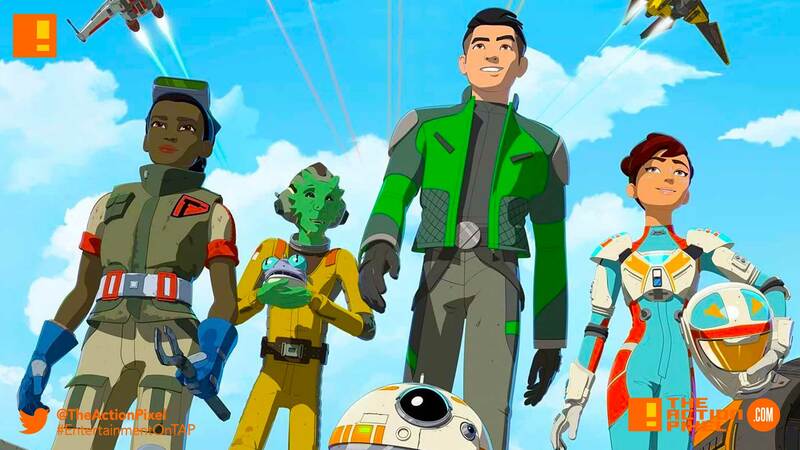 Meet the Fireball Team - the intergalactic buzzboys of "Star Wars Resistance"
Disney follows up their announcement of the coming animated series Star Wars Resistance with a new poster and promo. The actors and creative forces behind the galaxy’s newest adventure introduce you to the heroes of Star Wars Resistance. Premiering Sunday, October 7 at 10pm ET/PT on Disney Channel.